Like most French chocolate makers Francois Pralus walks the thin line between dark roast and burned. Luckily Pralus is more successful than most of the other master French chocolate makers. He does not use vanilla in his bars and most are 75%. They range in flavors from roast-y with light fruity notes to deep heavy perfumed woods and tobacco. 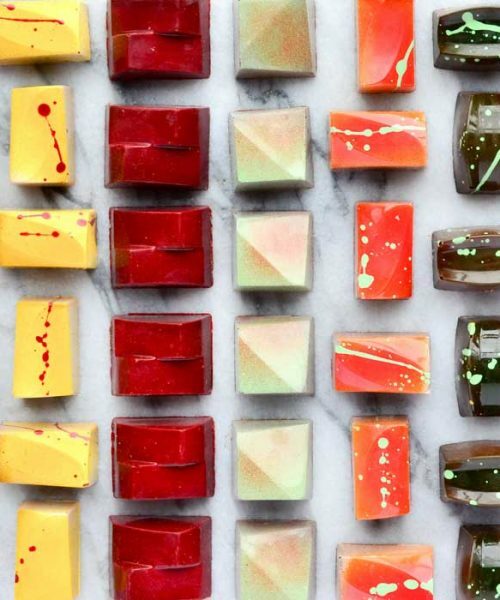 Pralus also offers a large array of stylishly packaged chocolate gifts. 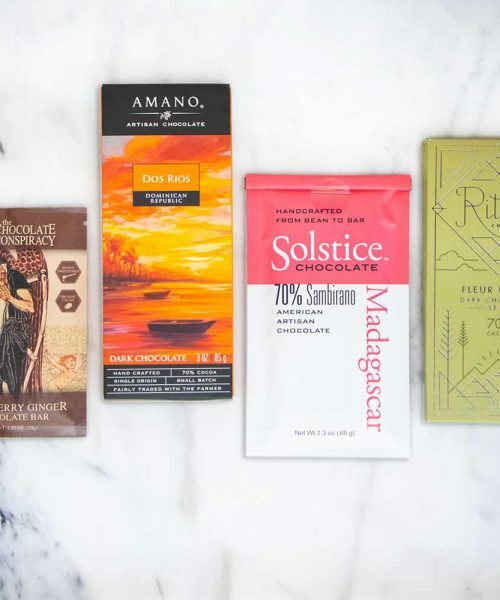 This selection is the world tour of the finest growing regions for cacao. 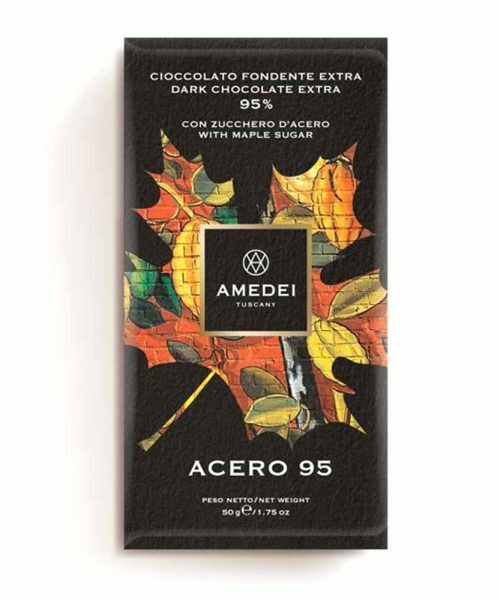 Sample chocolates made from cacao beans from Papua New Guinea, Indonesia, the Sao Tome islands or Trinidad, Venezuela, Tanzania and also Ghana, Madagascar, Colombia and Ecuador. You'll be an expert after just a few bites and find your favorites while doing so. Like most French chocolate makers Francois Pralus walks the thin line between dark roast and burned. Luckily Pralus is more successful than most of the other master French chocolate makers. He does not use vanilla in his bars and most are 75%. They range in flavors from roast-y with light fruity notes to deep heavy perfumed woods and tobacco. 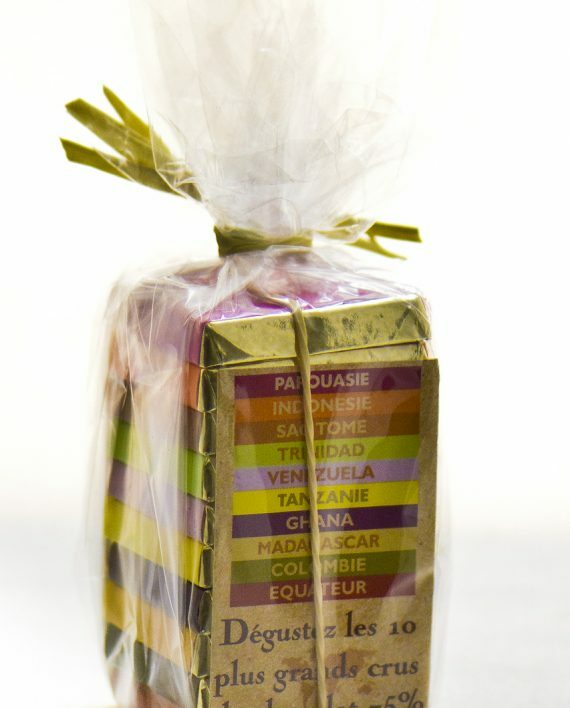 Pralus also offers a large array of stylishly packaged chocolate gifts. This selection is the world tour of the finest growing regions for cacao. 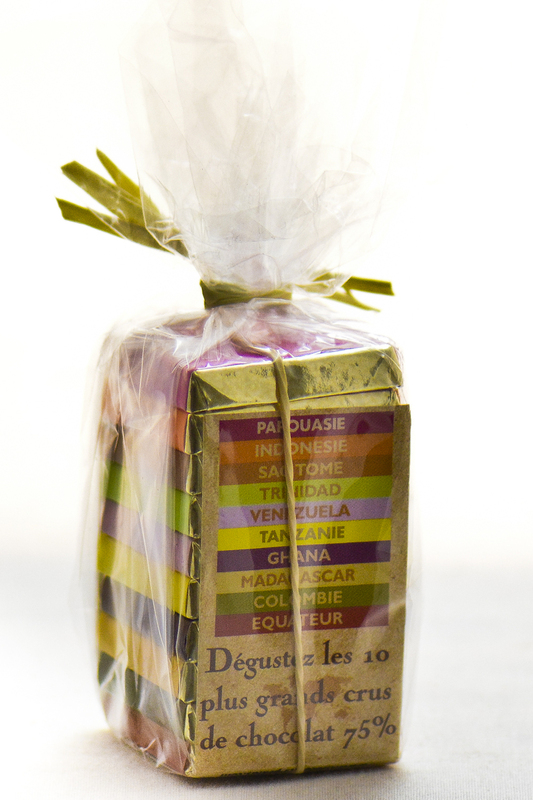 Sample chocolates made from cacao beans from Papua New Guinea, Indonesia, the Sao Tome islands or Trinidad, Venezuela, Tanzania and also Ghana, Madagascar, Colombia and Ecuador. You’ll be an expert after just a few bites and find your favorites while doing so.